As a combination of a soil, a climate and a human expertise, the "terroir" is an essential notion on our estates and in the work we do with our wine-grower partners. 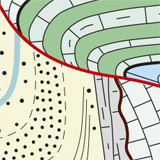 Learn about the terroirs of each appellation with these maps and geological cross-sections. For the appellations of our estates – Gigondas, Vacqueyras, Plan de Dieu and Costières de Nîmes – our plots are identified with a "GM" logo. The appellation is a mosaic of terroirs which draws its originality from the geological layers, altitude and particular orientation. 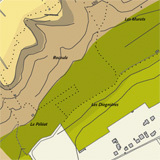 Our plots are situated on 4 of the 5 terroirs which make up the appellation. 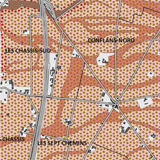 Our plots are divided between the alluvial terrace of the Garrigues (scrubland) dating back to the quaternary period to the west and the safre (sandy rock) and marl from the tertiary period close to the village. 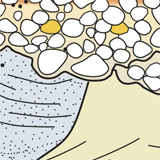 This is a wide, uniform terroir made of alluviums deposited by the Aygues and the Ouvèze in the quaternary period and covered in limestone gravel. Good hydration of the vines is provided by a deep blue clay soil and sandstone. 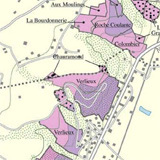 The Costières terroir is made of gravel deposited by the Rhône and the Durance in the quaternary period, covered in different coloured sands on a deep blue clay soil. 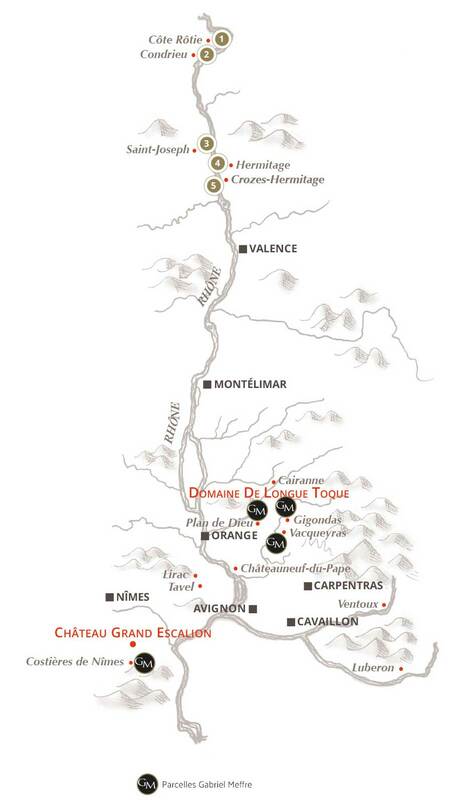 The vines of Château Grand Escalion come from a contiguous geographical area. Known for its impressive slopes, which sometimes have a gradient of more than 60 degrees, AOP Côte Rôtie is situated on metamorphic rock. 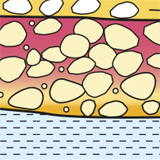 There are three types of soil: mica schist, gneiss and migmatite. 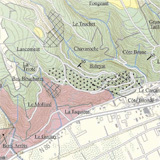 The loamy alluviums of the Rhône cohabit here with the granite soils of the abrupt slopes where the vines are planted on "chayées" (narrow terraces) which are particularly difficult to work. 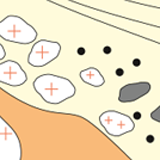 Although granite reigns here, it shares the limelight with soft gneiss to the north and marl to the south. 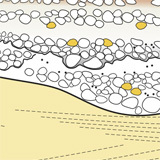 This diversity is what gives the appellation its typicality. Situated on a hill, the appellation consists of three parts: granite soil to the west, ideal for red wines; limestone and silica in the centre with a more fertile lower part to the east, famed for white wines. Covering over 1,500 ha, the vineyard flourishes on a variety of soils: gravel, red clay, loess, white sand and granite, each one adding its own characteristic to the grape variety.